from €34,550 to €35,300 for single individuals and from €43,550 to €44,300 for married couples. 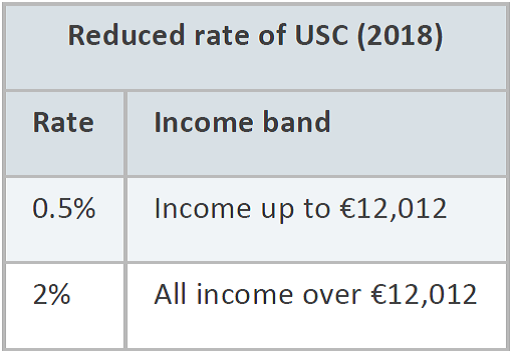 USC – You pay the Universal Social Charge if your gross income is more than €13,000 per year. If you are aged 70 or over or a medical card holder aged under 70 and your aggregate income for the year is €60,000 or less, you pay a reduced rate of USC.